The temperatures have been warm in the Washington, D.C. area leading to an early start to the grilling season. 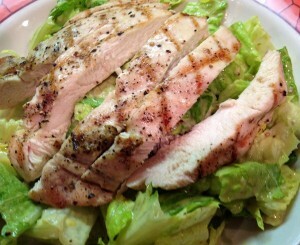 Last night I took advantage of the weather by grilling chicken and making homemade Caesar salad dressing! I also felt inspired after reading an article by Dr. Cate on how bad bottled salad dressing is for you (even if it says organic or all natural). Here are some images and the recipe that I used to make this delicious and easy salad! 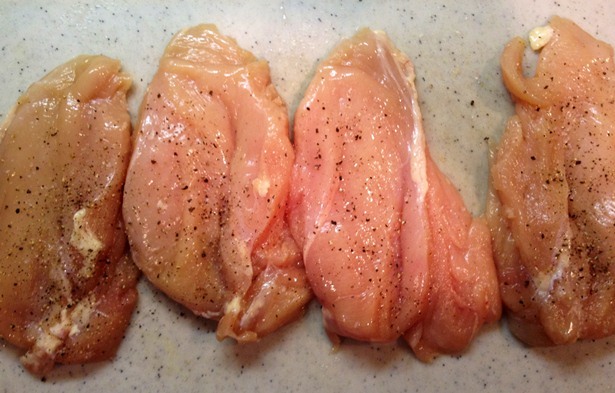 Start off with raw chicken breast, season with salt and pepper. Chop up two or more heads of Romaine Hearts. 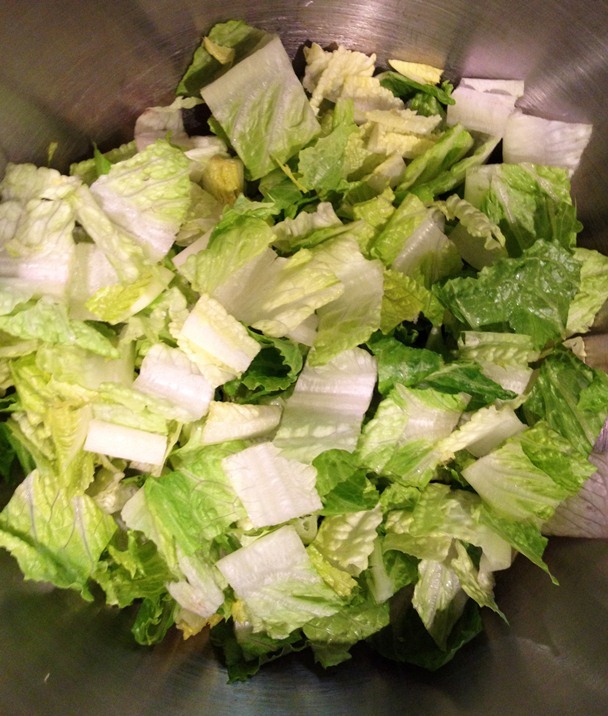 Prepare the Caesar salad dressing. Take garlic press and mash the garlic into a bowl. Add the salt and mash into a fine paste. This also can been done a cutting board with the side of your chef’s knife. 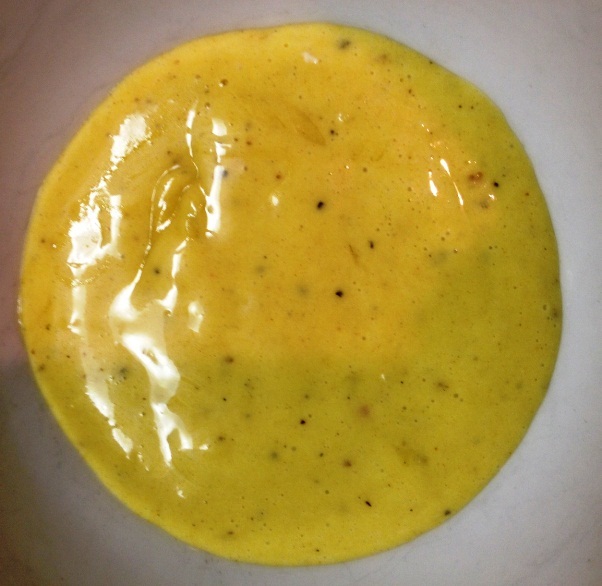 Add egg yolks, Dijon, anchovies, lemon juice, Worcestershire sauce and pepper. Whisk everything together. Slowly add the olive oil while whisking, until dressing becomes thick. You can also do this in a food processor; but, be careful not to over mix the dressing as this can cause it to break (everything separates). Last, always taste your final product, make sure it is seasoned properly. Nothing ruins good food more than when it is improperly seasoned. Now that you have made your dressing, it is time to grill the chicken. If you care about what your chicken is going to look like at the end you should always start with the presentation side down. The presentation side is the smooth nice looking side opposed to the other side that was cut off the the rib cage and bone area of the chicken. 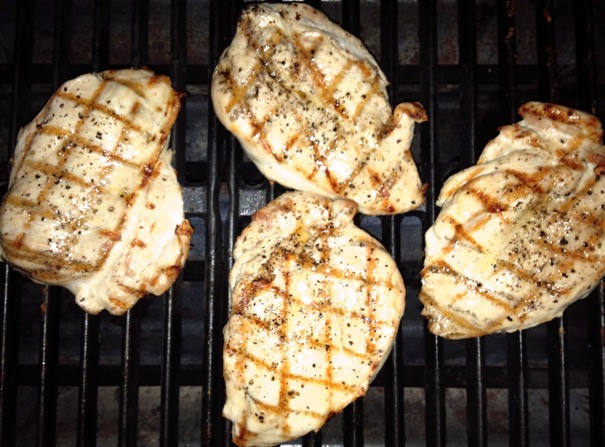 Start with a good hot grill, make sure to brush or spray some olive oil onto your chicken to help prevent sticking. Place the chicken on the grill and then leave it alone!!! Don’t move it for at least two minutes but when you do move it rotate it 1/4 of a turn. This is how you get those nice grill marks on your chicken. Wait another two minutes and then flip your chicken over. Cook the same way until the chicken is done. If you did it right your chicken should look like this. 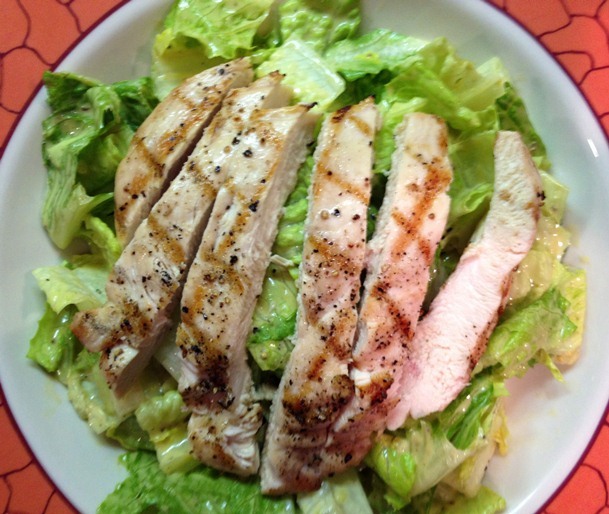 Now that your chicken is done, mix your fresh Caesar salad dressing and romaine together in a large bowl. Portion onto plates or large bowls. Take a chef’s knife and cut your grilled chicken into strips and place on top of you Caesar salad. That’s it! Enjoy! Dave Wendel is a graduate of the Culinary Institute of America and has worked as a Chef and Food Buyer for over twenty years. After being diagnosed with Type 1 Diabetes as an adult (due to an autoimmune illness), he has worked his way back to health through cooking according to an ancestral health template. Since going “Paleo,” Dave has been able to better manage his blood glucose and decrease his insulin usage.